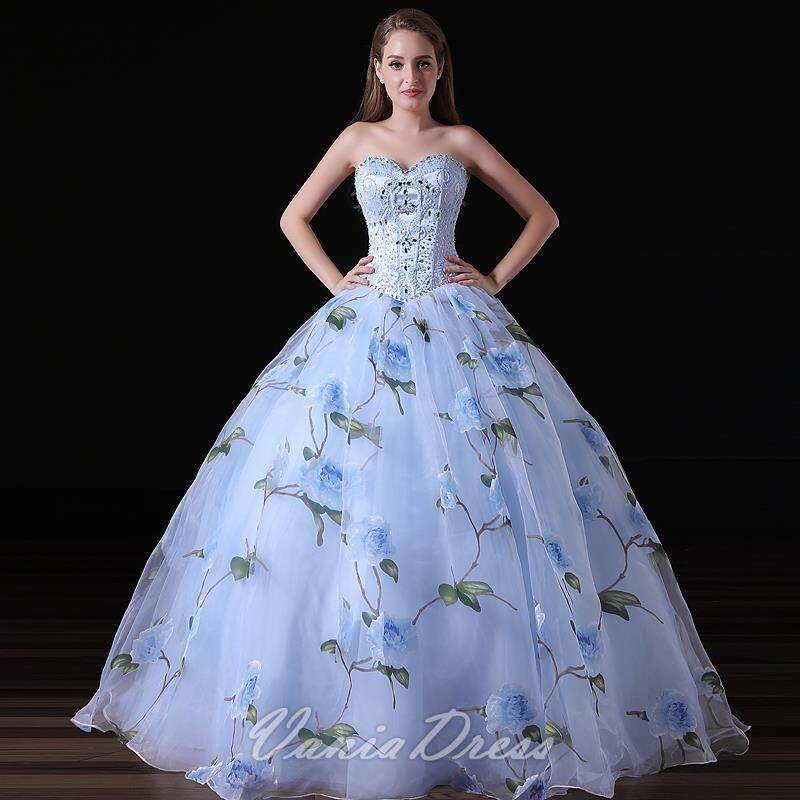 Long Prom Dresses With Sweetheart Neckline, beaded sweetheart bodice topped by ball gown flower printed skirt finished look. Lace-Up Back. Floor Length.